I adapted this recipe slightly and found that this was such a hearty chili that I didn't even miss the meat I usually put in my chili. I will definitely use this recipe again. This is the perfect bowl for a meatless meal plan and can be completely vegetarian by switching out the chicken stock I used for vegetable stock. In a 5 quart or larger Dutch oven or stockpot saute the onion and sweet potato cubes until the onion is slightly tender, about 5 minutes. Add the grated garlic and stir. Cook for about 1 minute. Add the spices and stir. Cook for about 1 minute, this helps to intensify the flavors. Add the chicken or vegetable stock and stir. Add the beans and corn and stir to incorporate. Bring to a boil then reduce to a simmer. Cover and continue to simmer for 1 to 1-1/2 hours. If you would like it a little thicker you can add a slurry of flour and water. In a small bowl or glass add 3 Tbs. flour and enough water to just make it liquid, not runny. Turn the heat off and add the slurry then turn the heat back on and simmer for a few minutes until it thickens up. 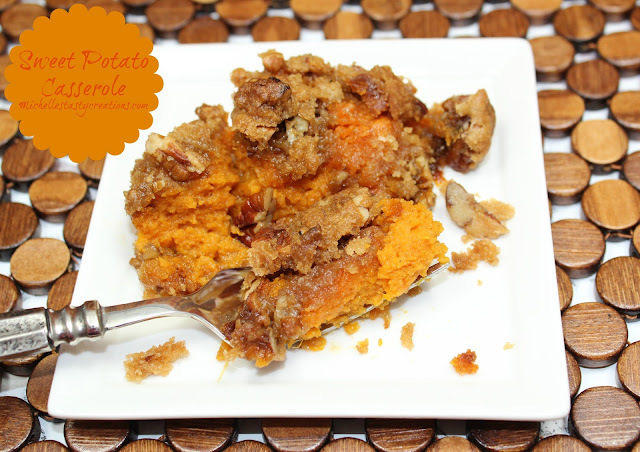 wow, I love the addition of sweet potatoes. I don't use them a whole lot, but they sound perfect for a chili. 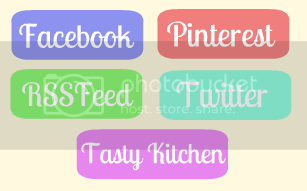 Thanks for sharing on Foodie Friday. 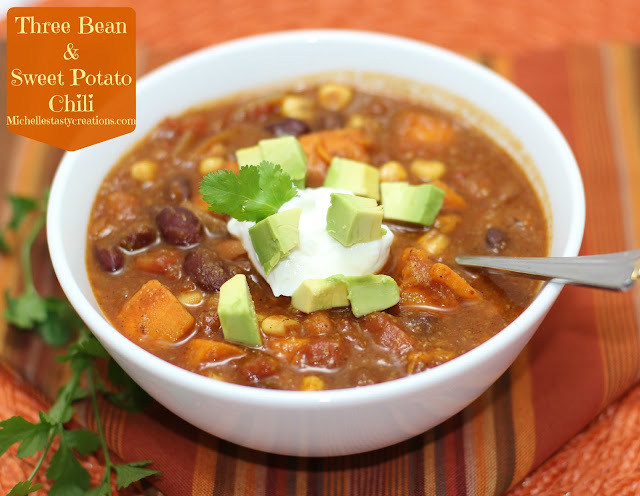 I would have never thought of putting sweet potatoes either...great addition to a chili. OMGosh that looks yummy! I can't wait to try this. Thanks for posting! !